Genres are getting complicated these days. But sometimes that cross-fertilization produces some entertaining mixes. Our young heroine’s British family maintains a plantation on Mars, as if it were the Caribbean islands or India at the dawn of the nineteenth century. The native Martians, filling the role of the local population, are considered primitive by the British colonists. In this respect the setup is faintly reminiscent of the Martian sequence in Heinlein’s The Number of the Beast. Physically, however, Levine’s Martians are more reminiscent of the green Martians of Burroughs’ Barsoom: large, nonhuman, living in a desert world. In keeping with modern sensibilities, the “natives” actually possess a respectable culture and can be formidable opponents. This accounts for the “planetary romance” aspect—“an extension of late 19th and early 20th century adventure novels and pulp romances to a planetary setting,” as Wikipedia describes the genre. When tomboyish Arabella is removed with her mother and sister to Earth, the Austen angle takes over. Arabella finds the Regency-era dinner parties and promenades boring; she’d rather be tinkering with mechanical piano-players and other automata. The swiftly thickening plot, which involves period devices like entailed estates, forces our heroine to disguise herself as a boy and take a menial position on an East India, er, Mars Company vessel bound for Mars again. At this point the Burroughs and O’Brian factors collide in an extraordinarily droll description of the Age of Space as an Age of Sail. Captain Jack Aubrey would have been perfectly at home on the quarterdeck of this interplanetary ship crewed by rough sailors and featuring three masts, not in a row, but protruding from the top and sides of the boat at 120-degree angles. The Diana is lifted by hot-air balloons (coal-fired, of course) into the extremely high-speed interplanetary air currents, which make travel to Mars a matter of a few months. These vessels are reminiscent of Burroughs’ Barsoomian airships, bringing us back to the planetary romance theme. Levine gives us with a straight face his depiction of a Solar System filled with breathable air, without deigning to worry about trivialities such as how the planets could maintain their orbits in such a resisting medium. The absurdity of the premise simply makes the description more delightful. 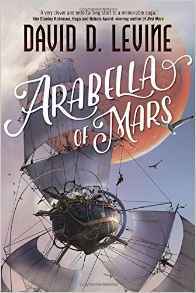 As we deal with pirates on the (very) high seas, stop at a convenient asteroid to cut down trees for repairs, and make charcoal to fuel the balloons for the perilous descent to Mars, one can only ride along enjoying Levine’s inventive adaptation of one set of tropes into an entirely different world. But it’s not just silliness. The book isn’t a farce. There’s a good sound story with believable characters strung through this cockeyed worldbuilding. There’s even a real romance, in the love-story sense, though this plays a somewhat muted role. Overall, the tale has more of the sea story than of the Regency romance about it. But it might serve an aficionado of either genre as a cordial introduction to the other. 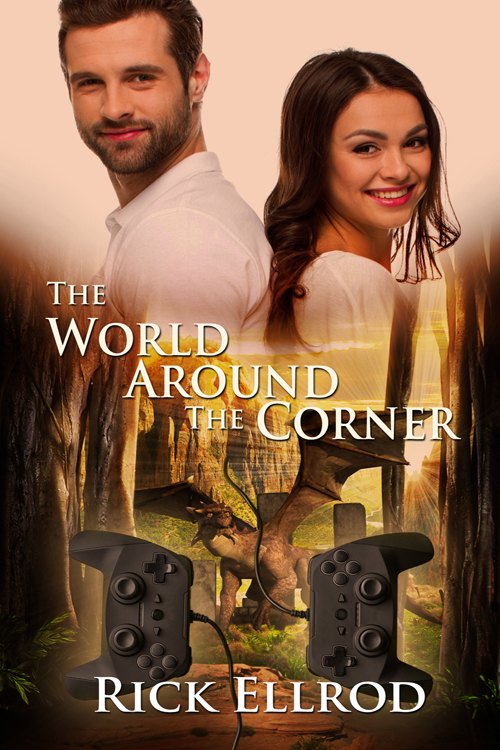 The novel is billed as “Book One” of “The Adventures of Arabella Ashby.” One can only imagine what sort of eccentric scenarios might come next. (For example, I don’t believe anything has yet been mentioned about Venus—which is bound to be a jungle world, perhaps with dinosaurs, if it’s based on the Burroughs-Heinlein model.) I look forward to seeing where this whimsical tale may lead.